Isabelle’s perfect proportions and graceful curved form are cleanly upholstered in luxurious, sophisticated fabrics with a precise piped detail, to create a contemporary reinterpretation of a classic design from a bygone era. Its heritage rolled back is fully sprung, along with its seating, to maximise comfort, longevity and minimise maintenance. 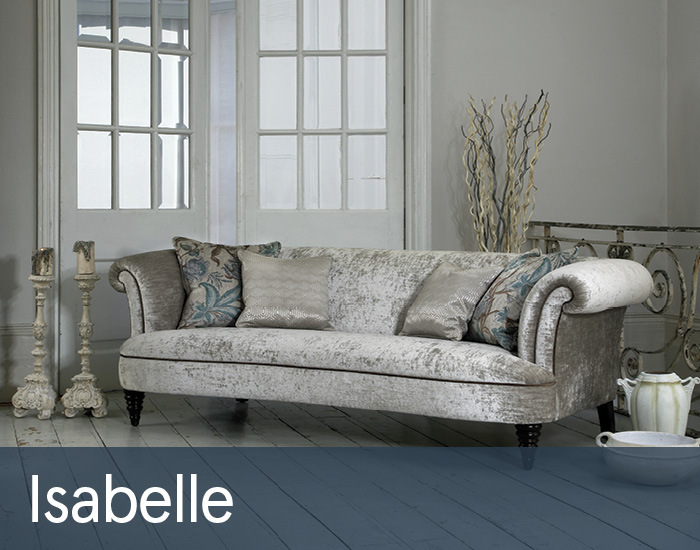 Isabelle will enhance any discerning period room aspiring to have a more fashionable on-trend appearance.